Last week President Trump announced that he would be appointing Larry Kudlow, a longtime CNBC staple and pro-free-market evangelist with vast private sector and governmental experience to back up his opinions, as his new National Economic Council (NEC) Director. Kudlow, who brings decades of varied work on Wall Street, in the media, and previously in the Reagan White House, will replace former Goldman Sachs Chief Operating Officer Gary Cohn, who announced his intention to resign amid being unable to dissuade the President from implementing his recent steel and aluminum tariffs. While not one of the most publicly visible roles in a President’s administration, nonetheless the NEC and its director serve an essential role in determining, strategizing, and promoting a President’s economic and fiscal policy agenda. The NEC itself as a formal body is only a rather recent invention, being created in 1993, and consists of several specialized White House economic policy staffers as well as various Cabinet secretaries and agency heads. Unlike the much larger Office of Management and Budget under the Executive Office of the President, the NEC is more similar to other policy offices in the White House in that its role is primarily advisory rather than endowed with concrete powers itself. However despite the lack of de jure power, it still retains great de facto power in advising the President on a wide-ranging array of policy matters related to the general economy and often then results in hard policy being implemented. As NEC Director this past year, Cohn’s impact has been in large part as a soothe to Wall Street, the financial markets, and broader business community that had been alarmed by some of the more populist rhetoric then-candidate Trump had espoused on the campaign trail. Cohn also played major roles in creating and passing the historic pro-growth and pro-business tax reform bill. Despite himself being a Democrat, Cohn helped realize many of the GOP’s long hoped-for goals in tax simplification, reduction, and restructuring. While markets initially dropped sharply to Cohn’s announced resignation several weeks ago, they since have stabilized and seemingly moved on. Kudlow’s appointment likely will allay fears that the President’s economic policies are shifting far from the style he has embraced this past year that has been such a boon to the financial markets and overall economy. It is likely President Trump will continue his mix of traditional conservative pro-business tax reduction and deregulation along with some more populist measures, such as his formal withdrawal from the Trans-Pacific Partnership last year. Kudlow, as a public commentator for decades, also has a wealth of statements, articles, television segments, interviews, and statements that give us a far more clear idea of the intricacies of his economic and political beliefs. This is in contrast to Cohn, who had a wealth of experience in industry but little in public statements on many specific economic and policy matters. Kudlow’s public commentary record is in fact so long and complex, beginning in force in 2001 with him taking positions as an editor at the National Review and as a host on CNBC, that it is near-impossible to dig into every aspect of it. Nonetheless it is clear that he is generally similar in belief almost to Gary Cohn on every essential aspect, being also a believer in a supply-side worldview favoring free trade, scaling back taxes and tariffs, deregulation, and maximal growth. The only difference may be Kudlow’s affiliation formally as a Republican and background in government, having served as a director in the Office of Management and Budget under President Ronald Reagan. 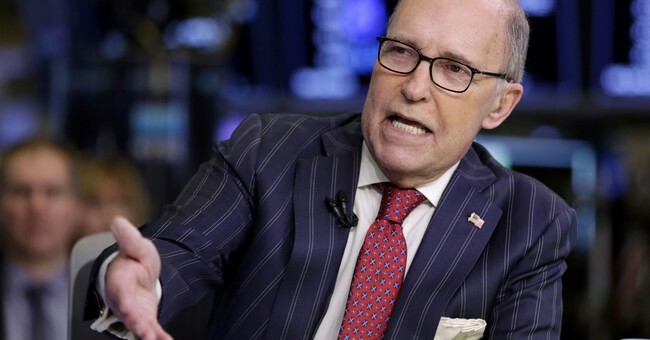 Almost three decades later, it looks like Kudlow will once again be returning to the White House albeit in a very different era, both economically and politically. Undoubtedly Kudlow will be an effective NEC Director, given his prior governmental and private sector experience. Furthermore, while some outlets have attempted to demean Kudlow as a “television personality” despite his decades-long renowned non-media career, in our modern media age even the NEC Director may need a bit of media skill. With much of the administration’s policy successes being in the economic realm, having trusted and recognized economic experts as public faces may indeed make a difference in shifting the media narrative and public perception. I wish Kudlow the best of luck, and I know he will undoubtedly serve the American people well.